(June 21, 2018) – On June 21st, the Senate Appropriations Committee approved the Fiscal Year 2019 Homeland Security spending bill. The legislation appropriates $55.15 billion for programs and activities within the Department of Homeland Security. The Assistance to Firefighters (FIRE) and Staffing for Adequate Fire and Emergency Response (SAFER) grant programs are funded at $700 million, split evenly between the two programs. This is the same amount Congress provided for Fiscal Year 2018 (FY18). The bill also provides $44 million for the United States Fire Administration (USFA), with an additional $1.5 million for infrastructure improvements at USFA’s Emmitsburg, MD campus. USFA received a total of $44.397 million in funding for FY18. The Urban Search and Rescue System is funded at $35.180 million in the bill, the same level of funding as appropriated for the current fiscal year. The Senate committee also recommended funding the Urban Area Security Initiative (UASI) at $605 million (a reduction of $25 million from FY18) and $512 million for the State Homeland Security Grant Program (an increase of $5 million over FY18). Both programs would receive significantly more funding than requested in the Administration’s Fiscal Year 2018 Budget Proposal. The House Appropriations Committee is expected to take up its own version of the FY19 Homeland Security spending bill in the coming weeks. Additionally, on June 14th, the Senate Appropriations Committee approved S. 3073, the Fiscal Year 2019 Interior, Environment, and Related Agencies Appropriations Act. The bill provides $35.853 billion to fund the Department of the Interior, U.S. Forest Service, and other agencies. The bill provides $16 million for the Volunteer Fire Assistance (VFA) program and $80 million for the State Fire Assistance program. This is the same amount Congress appropriated for the current fiscal year. On June 6th, the House Appropriations Committee approved its own version of the bill, which includes the same funding levels. 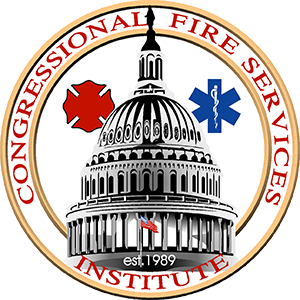 CFSI will continue to provide updates as the Fiscal Year 2019 appropriations process moves forward, including a more comprehensive breakdown of the funding bills.